Computers, the Internet, and smartphones are here to stay! This makes knowing how to use them wisely all the more important. 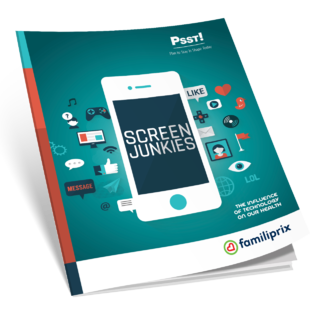 From the correct posture when using your devices to the number of hours you spend on your tablet to Internet addiction and cyber bullying, the new Familiprix guide offers potential solutions for the smart use of smartphones!